Description:- Iverfast 12mg tablet is used in the treatment of scabies (itchy skin condition) and filariasis. It belongs to class of medications called anthelmintic. 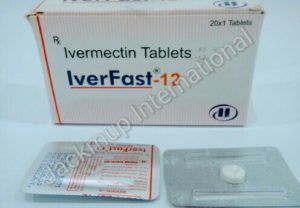 Iverfast 12mg tablet works by killing the parasite by paralyzing it.